I’ve always said that I love all kinds of music from rap to gospel, but gospel music is the only music that can get you through when you’re going through! Y’all know what I mean! That’s why I’m pleased to introduce an exciting up and coming gospel singer TaMyya J to y’all! 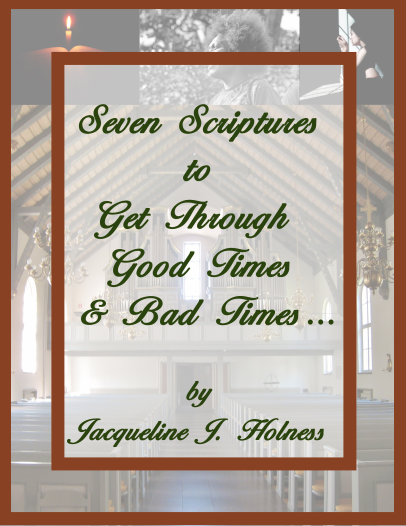 Her new single “God’s Got My Back” is truly an inspirational song. Below is a some information about TaMyya J followed by my interview with her! For TaMyya J it all began in her childhood hometown of Willingboro, New Jersey. Singing in church became a regular part of her life at an early age. It wasn’t until 1998, at the age of 14, when TaMyya’s introduction to the professional music industry would solidify her career choice and inspire a dream. Her group “Praise” won the 1st place prize for the Youth Division at the McDonald’s Gospelfest at Madison Square Garden in NYC. Since that time, she has ministered in song at events throughout the world and has built a well-rounded career in entertainment over the past decade. Her critically acclaimed independent album in 2005 entitled SUDDENLY even earned her a nomination for the Gospel Music Channel’s “Pop Video of the Year” Award. In 2005, 2006 and 2007, TaMyya was selected by Fashion Fair Cosmetics, a division of Johnson & Johnson Publishing Company, (publishers of EBONY and JET magazines) to kick-off their spring cosmetic campaign by offering three songs from her album as a gift to their customers and by appearing at major departments stores across the country. In 2007 she performed in the hit stage play “Who Do You Love” starring Erica Campbell (Mary Mary). 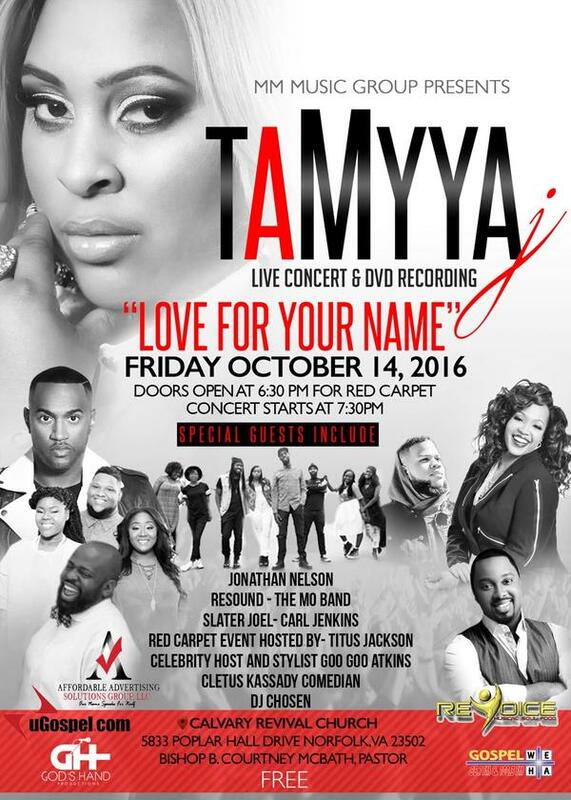 In addition, TaMyya has spent the last six years traveling as the soprano background vocalist for mega gospel duo Mary Mary. 1.What inspired your new single “God’s Got My Back?” I really like the message of feeling your not enough – whether it’s pretty enough, thin enough, etc. and then realizing with God, you are wise enough, strong enough, etc. Did you write this song? Well, I was just at a place where I just felt like nothing was going my way, nothing that I planned to do or wanted to do. It just wasn’t happening. I got to a place where I was like, ‘Lord, I don’t know. Is it me? Is it that I’m not strong enough? I’m not pretty enough? I’m not good enough?’ And I heard the Lord clearly say that His timing is way better than my timing or our timing so that really inspired me to do this song. I wrote the song with Damon Stewart from IGA Talent. I came to him with my concept of the song, and we just came together and this is how it came out. 2. “God’s Got My Back” was released this month, and it is from your new album “Love For Your Name.” When will the album be released and tell me about it? The album will be released early next year. We have a lot of different kinds of tracks on this album. We have reggae songs, worship songs, a little bit of gospel urban feel, and a little bit of pop feel too. I wanted to go in that direction because I didn’t want to be put in a box where I was in this one genre of music. And I have a DVD release coming too early next year, and we will be recording it at my concert on October 14 in Norfolk, Virginia. We have a lot of special guests – Jonathan Nelson, Goo Goo Atkins, the celebrity stylist; Resound, just to name a few. And then it’s my birthday month so I’m really excited about it! 3. You spent the last six years traveling as the soprano background vocalist for Mary Mary. What was that like and how did that happen? That was the best experience ever! It was amazing! I learned a lot from them, and it was so much fun. I was actually working at a law firm in Philadelphia. I had just taken the job and was making good money at that time. And all of a sudden, I had the opportunity to sing for them. I saw them at a concert, and one of the drummers who played with them knew that I was a singer. The drummer said, ‘Oh, you have to hear TaMyyya sing.’ So they were singing a song, and they just handed me the mic. Tina Campbell handed me the mic, and I was like, ‘Oh, no, I’m so nervous.’ But I sang and from then on, it was like, ‘You’re going to be our background singer.’ I said, ‘Okay!’ I was just at the right place at the right time! 4. I understand that you, as a 14-year-old girl, along with your group “Praise,” won the 1st place prize for the Youth Division at the McDonald’s Gospelfest at Madison Square Garden in NYC. What was it like to perform at Madison Square Garden at 14 years old? We were so excited and nervous and happy at the same time! Being that young, at 14, it’s like, ‘Wow!’ When we first won the first portion of the contest, it was like, ‘Wow, okay!’ And then we won the next part and we were like, ‘Wow, okay!’ We were like, ‘We’re going to have the chance to sing at Madison Square Garden!” It was an amazing experience, and we were very grateful and humbled. And then we got to perform on the stage with the top gospel artists Karen Clark Sheard, Timothy Wright, just to name a few. It was wonderful! It was the best experience ever! 5. What do you feel is God’s purpose for your music especially since you’ve been singing you were a little girl? I believe that God’s purpose for my music is to enlighten and encourage and to also let Him get the glory and reach others for Him. 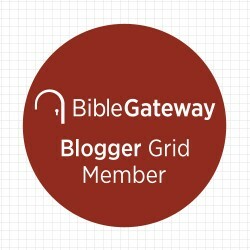 This is a gift that He blessed me with so I believe that it will bless others. 6. Some may compare you to Tasha Cobbs or Kierra Sheard or a host of other younger gospel artists about there? What sets you and your music apart? Well, being compared to them, you know I love them! I think that’s great! I think with all of us our main goal is to serve God and serve people who listen to our music. I love what they do! It’s evident in their music and their ministry so being compared to them is awesome. 7. Tell me about your involvement with House of Esther Ministries? This is a ministry based out of my church Calvary Revival Church in Norfolk, Virginia with Bishop Courtney McBath and Pastor Janeen McBath. What Pastor Janeen did is she created this housing for young moms or just young people who cannot provide for themselves or it’s very hard for them to get through school. So she provided a home for these young ladies and is helping them to get the education they need to get good jobs. It’s a great program for young ladies, and I just love being a part of that whether I’m giving clothes or money or whatever is needed. 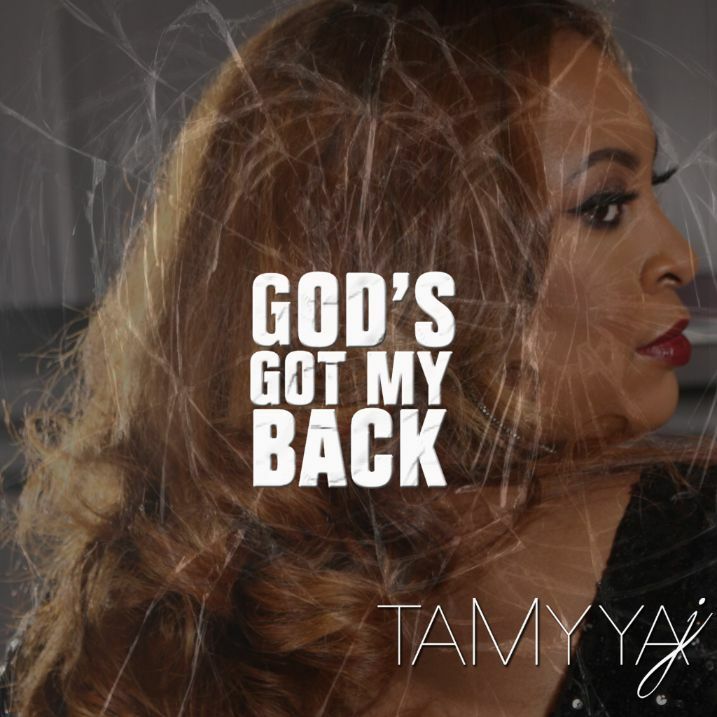 Check out TaMyya J’s new single “God’s Got My Back” below! TaMyya J’s music is available at all digital outlets!